31 years old. 31 days. 31 new things. 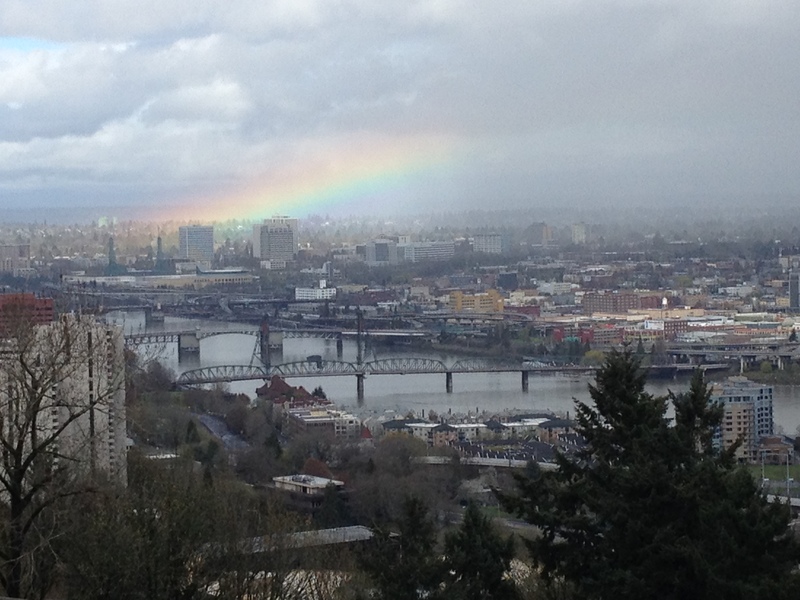 Today was a full day of Portland must-dos. Our first stop in the morning was Voodoo Doughnuts (a Portland institution), where we waited in the pouring rain in probably the longest line for a doughnut you’ve ever seen. It was Roxanne’s first time there too. She said she heard the doughnuts weren’t that good and people only go there because it’s famous. We tried a few, and I have to say, I thought they were pretty F-ing delicious. Next stop was the downtown Saturday market, where we didn’t spend much time due to the aforementioned rain. It was similar to a standard art & wine festival, but there were lots more interesting booths and art. We probably would have spent more time there if we weren’t soaking and playing a big game of umbrella bumper cars. After that Roxanne went home for a bit and dropped me off at Powell’s City of Books. Powell’s is the world’s largest chain of independent book stores, and at this location you actually need a map to find your way around, which means of course, that I was in heaven. I was texting Roxanne to take her time. Don’t pick me up. I’m fine here all day. I went to every floor, loitered in the rare book room, went to all my favorite sections, and walked out with a bag full of books and gifts. After that we went up on the Portland Aerial Tram for some awesome city views, then had lunch at Urban Fondu (my first time at a fondu place), and then went shopping on Hawthorne Street. For dinner we went fancy. Portland City Grill is on the 30th floor of a downtown building, and the restaurant has amazing 360 views of city. I can’t believe I have to go home tomorrow!